UPDATE FRIDAY 4PM: THE MAN who ran from police in Rockhampton yesterday represented himself in Rockhampton Magistrates Court this morning. Grant Allen Smith, who appeared on charges including obstruct police, did not plead guilty, but instead requested an adjournment. He is expected appear by video link on September 1. 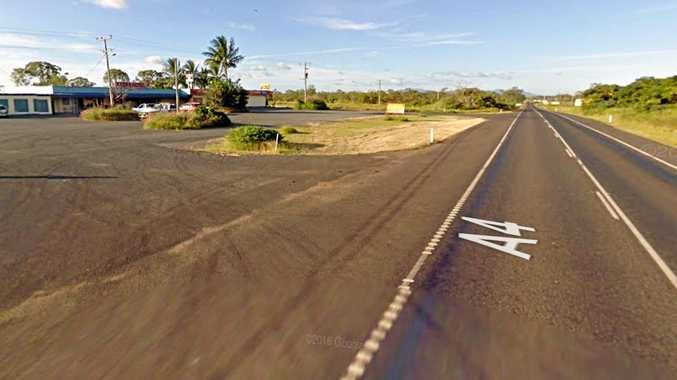 UPDATE FRIDAY 9AM: THE MAN at the centre of yesterday's Kawana police chase is appearing in Rockhampton Magistrates Court this morning. 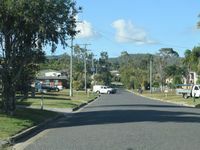 Grant Allen Smith is appearing on charges including obstruct police after he allegedly led police on a wild goose chase in Kawana yesterday afternoon, forcing police to lock down half a suburb. It will be alleged Smith fled from police when they tried to execute a return to prison warrant. UPDATE 4PM: REPORTS indicate police have apprehended the wanted man off Power St. The Morning Bulletin understands he was caught and arrested in the back yard of Rocky's Own Transport Co after staff reported seeing a man matching the description at the site. He is now in police custody. 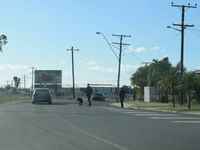 UPDATE 3.35PM: Further reports suggest the man has been seen running towards Alexander St.
Reports from reporters at the scene indicate police have blocked off several streets in the area. Residents in the area are being urged to stay inside and lock their doors. Do not approach the man. 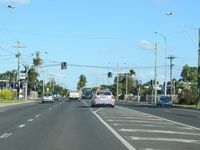 UPDATE 3.25PM: POLICE are locking down the area around Stenlake Avenue, Locke Street, Alexander St, Farm St and Westmoreland St after the man was reportedly sighted in the area. Reports suggest he was seen hiding behind vehicles in the area. UPDATE 3.20PM: FURTHER reports suggest the man was last seen outside a Locke St residence where he was sitting in a chair. A woman at the residence reportedly spoke with the man and he ran from the front of the home. 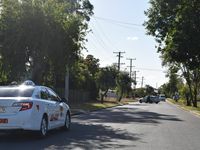 UPDATE 3.10PM: THE man was reportedly last seen in Locke St, heading towards Alexander St.
Police are patrolling the wider Kawana area on foot and in police vehicles. Police are reportedly 'vesting up' as a precaution following unconfirmed threats regarding a weapon. Reports suggest the dog squad has been called in. Members of the community should not approach the man who is described as being 6ft tall and of Caucasian appearance wearing dark clothing including a dark cap. BREAKING 2.40pm: MULTIPLE police crews are involved in the chase of an alleged offender in north Rockhampton. Urgent requests for back-up have been called in and reports suggest a foot chase is under-way for a male person in the vicinity of Stenlake Avenue and Farm Street. The man is reportedly wanted on a return to prison warrant. The male involved has reportedly entered back yards in the area. Residents in the area are urged to give way to emergency services and avoid the area.